Women's Contemporary Silver Bracelet : LOVE2HAVE in the UK! 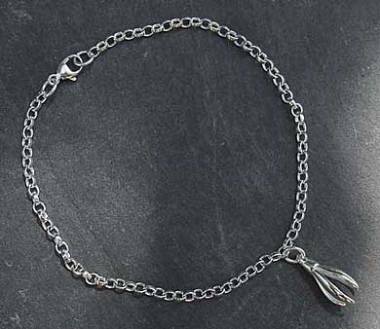 A women's contemporary silver bracelet. Why not treat yourself to some lovely seasonal UK made jewellery. 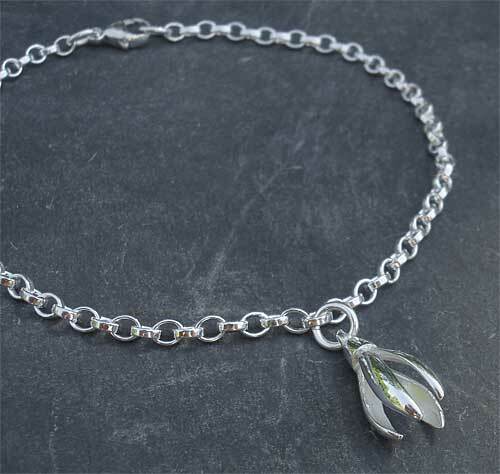 This bracelet comes fashioned into a snowdrop, a flower that reminds us that spring is on its way once we are through the winter time. The fragile beauty of the tiny snowdrop marks the end of Winter and the new beginnings of Spring. 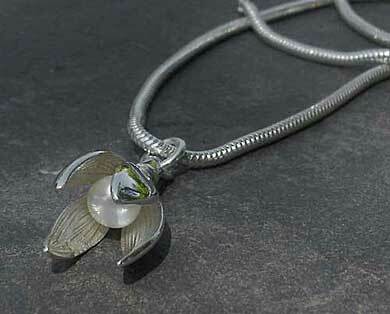 The snowdrop measures 1.5cm in height and come's with a polished finish. It comes on a sterling silver chain with a lobster clasp and matching earrings are also available. This lovely, delicate collection is all made from sterling silver.